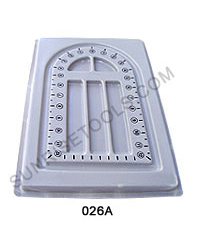 We have greatly offered standard of beading tools and service of highest possible quality commensurate with price of our beading tools and supplies to our clients. 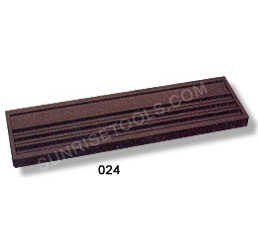 Who usually call us to order without any questionnaire because we have clearly established the guarantee on our all products included bead tool wholesale. 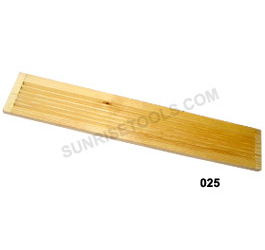 Description :- This Durable wooden bead board is naturally polished and perfect for aligning beads. 024 Bead string board black wooden 3 grooves, 13.1/4"x 3.1/2"x 1/2"
Description :- This bead string board is made from good quality material and well polished for making it lasting long. 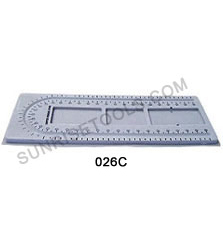 These boards are used for beads alignments. 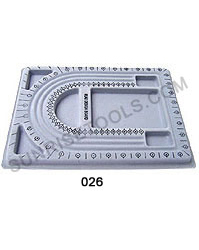 025 Bead String Board in Natural Polish, 22" x 4" x1/2"
Description :- These Beading boards are essential for jewelers in stringing department. It helps to organize beads, finding etc.These boxes have enough space for organize and store items for all your craft and jewelry projects. 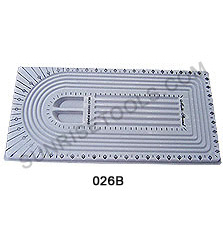 026 Plastic Bead Board, Covered in gray color flocking 13" X 9-1/2"
026A Plastic Bead Board 13" X 8-3/4"
026B Plastic Multistrand Design Board, Covered in gray color flocking 21" X 10-1/2"
026C Plastic Larger single strand Board, Covered in gray color flocking 21" X 8"
026D Plastic Four Row Straight Board, Covered in gray color flocking 21" X 8"
Description :- All essential beading tools are packed well in this Beading tool kit. This beading tool kit contains 8 pcs tools i.e. 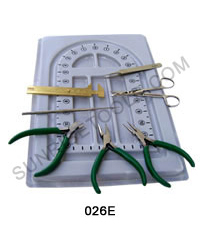 plier chain nose, plier round nose, side cutter, brass gauge 3", scissor, tweezer no.5 and beading needle. 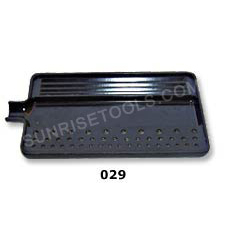 Description :- All beading tools are well organized in this handy tool kit. This beading tool kit cantains 7 pcs tools i.e. plier chain nose, plier round nose, plier flat nose, brass gauge 3", plier side cutter, tweezer no.5 and beading needle. 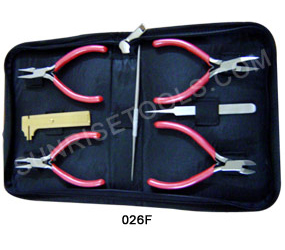 026F beading Tool kit 7 pcs. 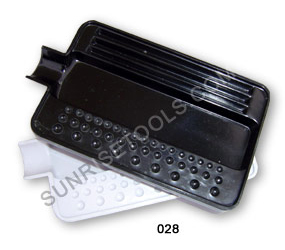 Description :- This Sorting tray helps you to sort your beads and other small parts in order make your work easy. It's available in two colors white & black. 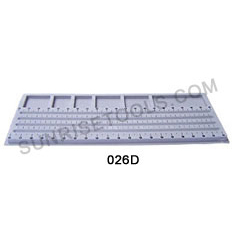 028 Sorting Tray for Beads, White or Black 4" x 2 1/2"
029 Sorting Tray for Beads, White or Black 7" x 4"